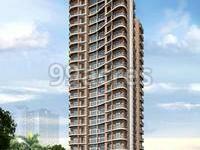 Kapleshwara Pinnacle Gloria, located in Mumbai, is one of the residential development of Kapleshwara. It offers spacious and skillfully designed 1BHK and 2BHK apartments. The project is well equipped with all modern amenities and 24 x 7 security service to facilitate the needs of the residents. What is the location of Kapleshwara Pinnacle Gloria?The location of the project is Kolshet Road, Mumbai Thane. What are sizes of apartments in Kapleshwara Pinnacle Gloria? The apartment sizes in the project range from 790.0 sqft to 1134.0 sqft. How much is area of 1bhk in Kapleshwara Pinnacle Gloria? 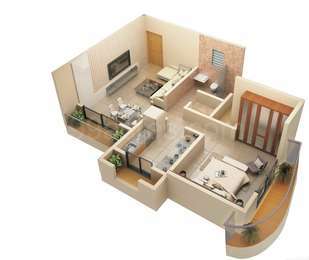 The area of 1BHK units in the project is 790.0 sqft. What is size of 2 bhk in Kapleshwara Pinnacle Gloria? The area of 2 BHK apartments is 1134.0 sqft. What is total size of Kapleshwara Pinnacle Gloria?The project is built over an area of 0.51 Acres. What is total price of 1 bhk in Kapleshwara Pinnacle Gloria? 1 BHK units in the project are available at a price tag of Rs. 6048240. Kapleshwara is a trusted name in the real estate industry of Mumbai. The company is engaged in providing complete residential and commercial solutions to the customers. Following a professional approach, the company focuses on the needs of customers and ensures that they get exemplary projects. Its projects boast uncompromising standards of quality, advanced technology and brilliant architecture. The company does everything with a passion to go beyond the ordinary.